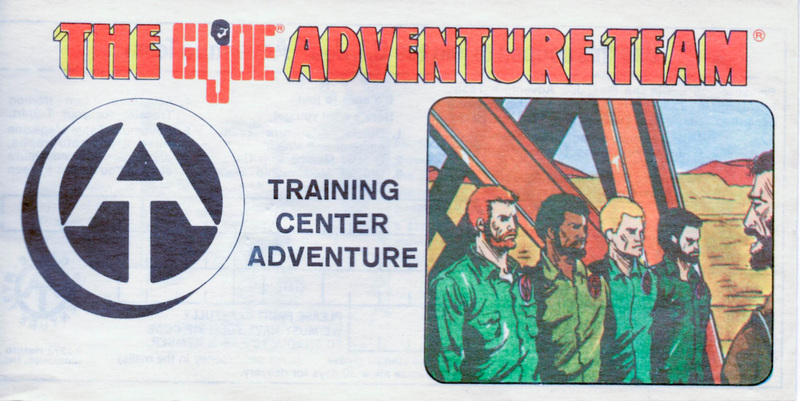 Physically the largest GI Joe set made, the Adventure Team Training Center came in two separate iterations: the standard version available at many retailers (7495) and the Sears exclusive version (7495.16). 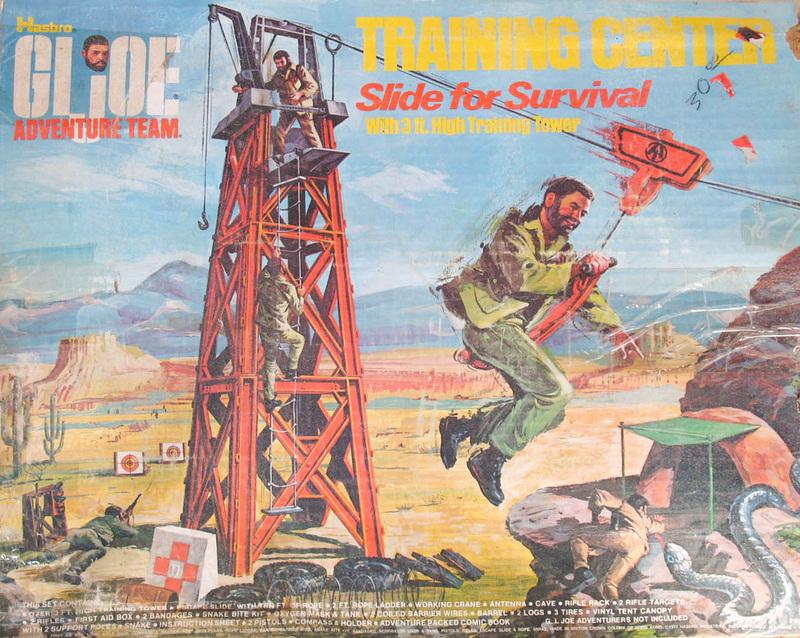 The standard release features the monumental tower, along with a "Slide for Survival" zip-line set, a cave, rifle range, first aid station, obstacle course pieces, a compass for orienteering training, and a resident giant and deadly snake whose massive size makes up for the dinky crocodile and gorilla Joe struggled with elsewhere. 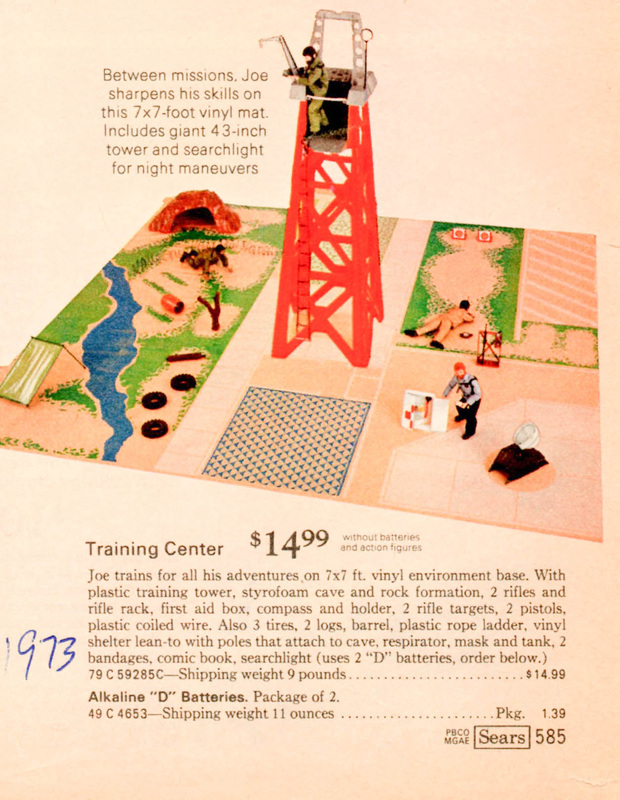 The Sears version eliminated the zip-line and superstructure on the tower but added a massive seven foot square "environmental" play mat and a search light modeled after the one on the Adventure Team Headquarters, a pretty fair trade-off. 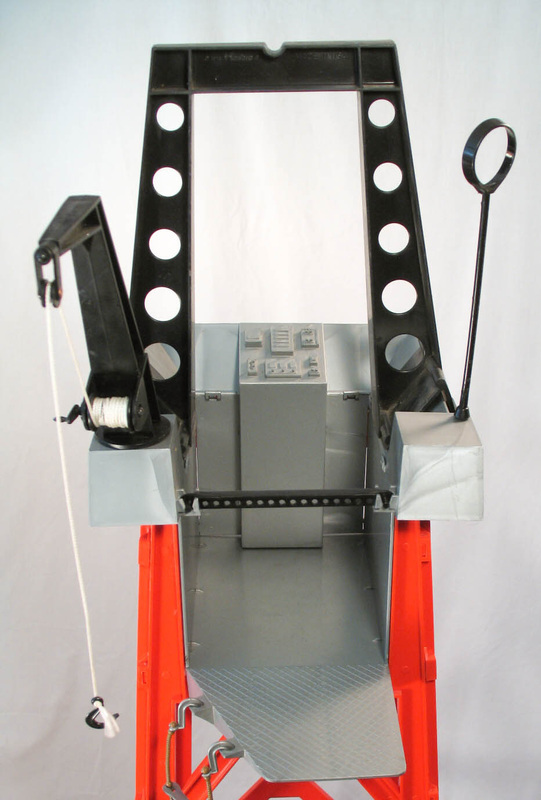 Above, the standard box and below, the Sears exclusive version. Above, the standard (left) and Sears (right) versions of the tower. 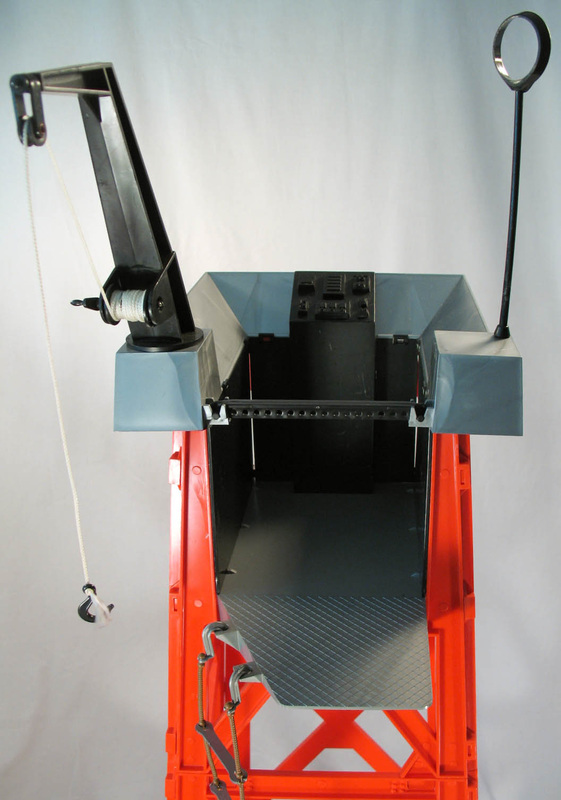 The Sears set substitutes a black console and black walls while eliminating the superstructure used to support the Slide for Survival zip-line, which was also available separately. 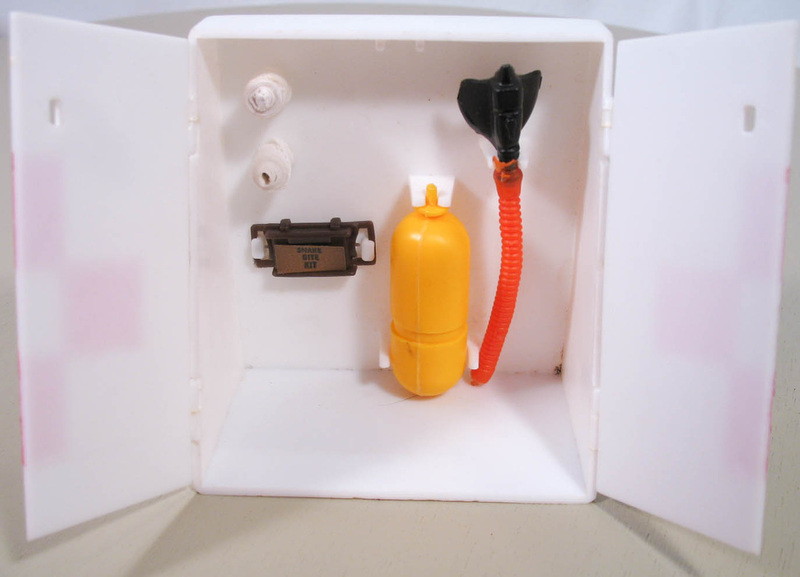 Below left, the first aid station contents: bandages, snake bite kit, and oxygen bottle and mask. 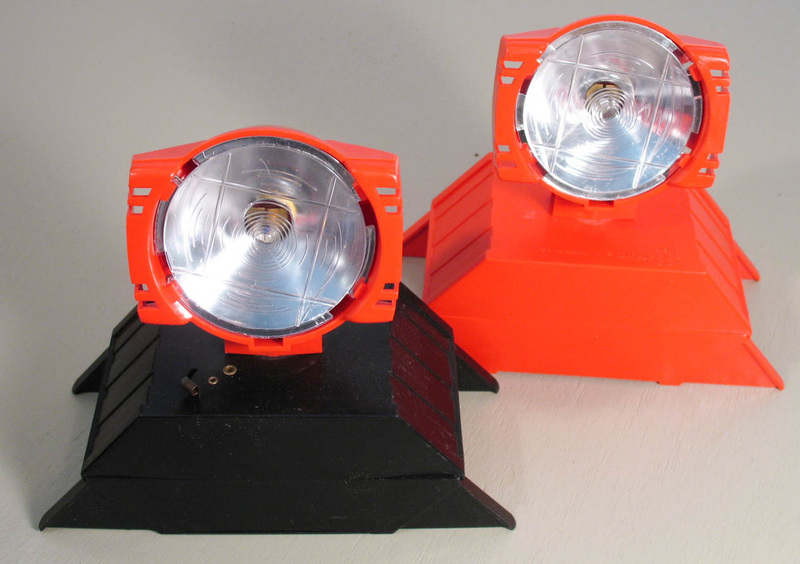 below right, two examples of the Sears exclusive searchlight. 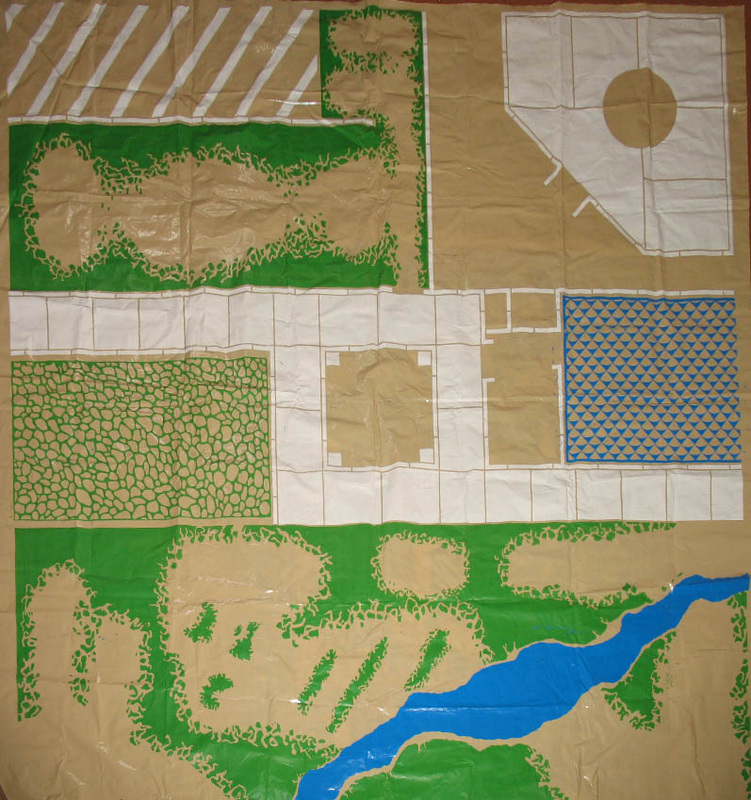 There is also a version with a white light frame and black base..
Below, the giant plastic play mat. If you haven't seen this in person, it's hard to conceptualize how huge it is. While the mat certainly provides an environment for play, it's interesting how using the word "Environmental" on the box continues the push to eliminate the old military branding and create a toy more aligned to perceived popular values. The Sears advertisement for their exclusive Training Center. 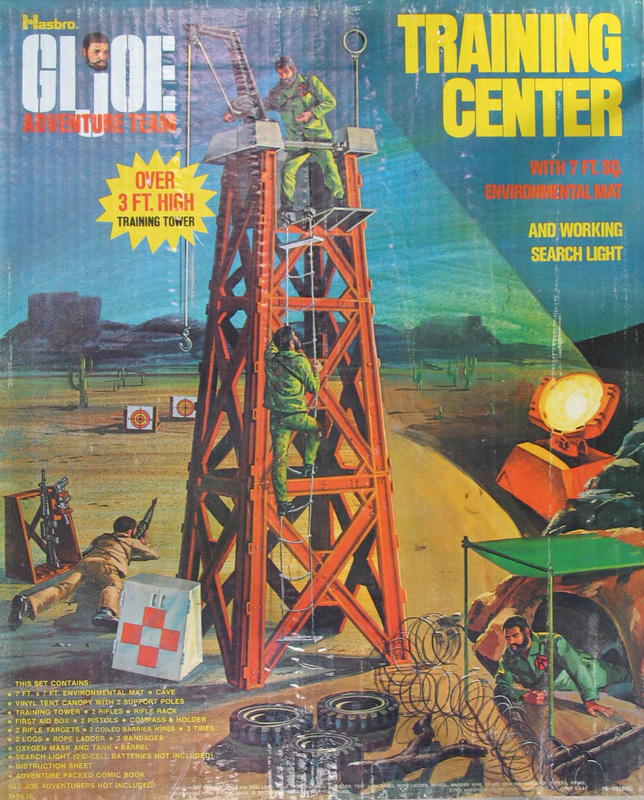 Note the prototype brown cave with a floor and silver superstructure on the tower.